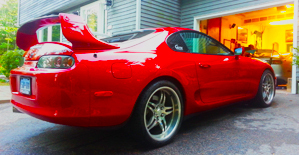 As some one who has added a GTE-VVTi head to an OEM US spec TT Supra, I will give you some facts and information I have learned. Most of the items in this post refer to the GTE platform. VVTi will in no way increase or decrease your peak HP rating. There is nothing to lose and everything to gain by using VVTi. Blocks produced after May, 1995 have oil provisions for VVTi heads (Even US Spec) -Thanks Jeff! When I bought a brand new OEM Toyota shortblock it had the hole for VVTi. 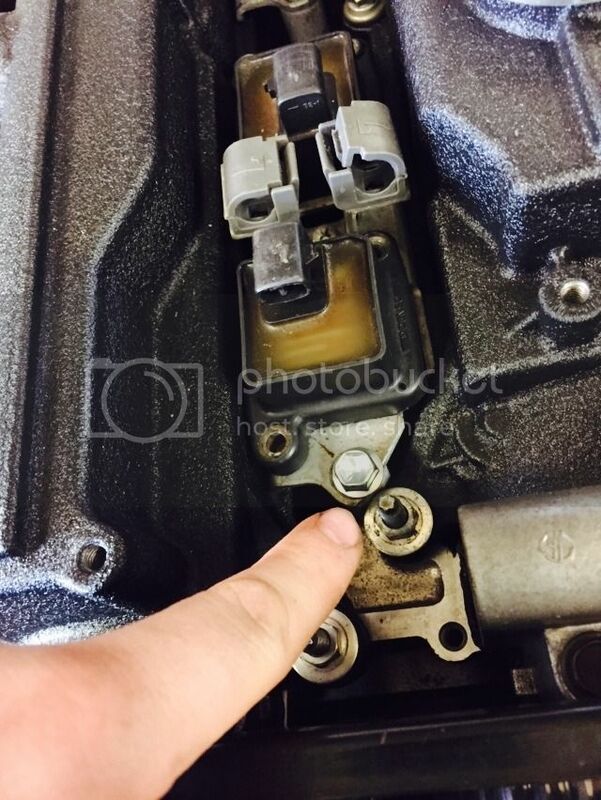 In this picture you can see the oil pressure adapter is removed and you can insert the VVTi oil feed. This includes turbo manifold, intake manifold, throttle bod etc, exhaust cam gear, springs/retainers/ valve guides, shims/buckets etc. The factory GTE-VVTi intake manifold is slightly smaller than the non VVTi. Removed factory GTE-VVTi exhaust manifold, intake manifold, factory cams, valves, retainers and springs. Sent the head to the machine shop to check for warping, install fresh valve guides, valve job etc. Put all my US parts back onto my new GTE-VVTi head. (Boost logic manifold, US spec intake manifold, throttle body, fuel rail, injectors, Ferrea valves, BC springs, retainers etc. 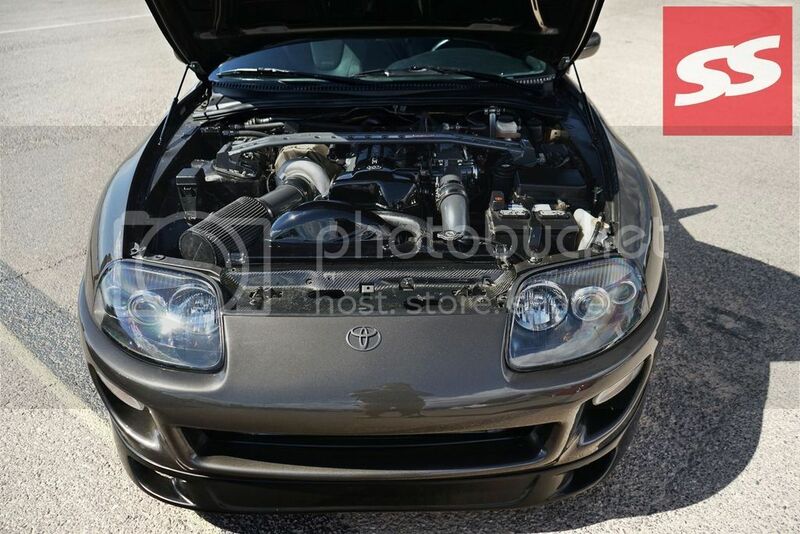 I had to purchase the front VVTi cam cover from a '98 Supra. Hooked up the OEM oil feed line from the block to the head. Note that their are two Banjo bolts. The one on the bottom has a built in check valve. Make sure you install it in the correct location. 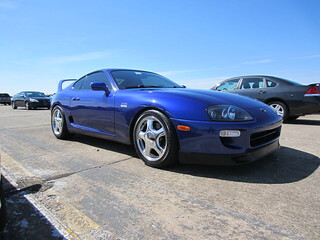 My block is an OEM GTE block from a 97+ supra so it was all plug and play. If you have an older style block their are some creative methods out there to make it work. Some as simple as running an oil feed line to the head. I repinned two wires from an old sequential VSV to control the VVTi solenoid. You can fit all 6 of your GTE coils will fit the GTE VVTi head. Cylinder 1 you will need to trim some of the valve cover and bracket, but it does fit. Re-use your original US spec harness and everything will plug back in just like the non VVTi head. With the exception of the VVTi plug we repinned using the old VSV. So no wire hacking was involved and we still maintained sequential ignition! Since I use ProEFI, all I had to do was change the firmware for the trigger patterns and click "enable" in the software. 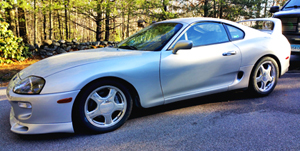 Re-tune the car and enjoy the better gas mileage, spool and low end power! My 850+whp GTE VVTi motor with OEM everything. Notice I used all US spec GTE non VVTi parts from my old head. Last edited by cwtt; 07-28-2017 at 10:46 AM. This is the basics of converting. If I made a mistake with any of the oem parts or you have additional facts I should add please let me know. I will post up my dyno showing VVTi on vs VVTi off soon. I will also add more VVTi tuning tips as I think of them. 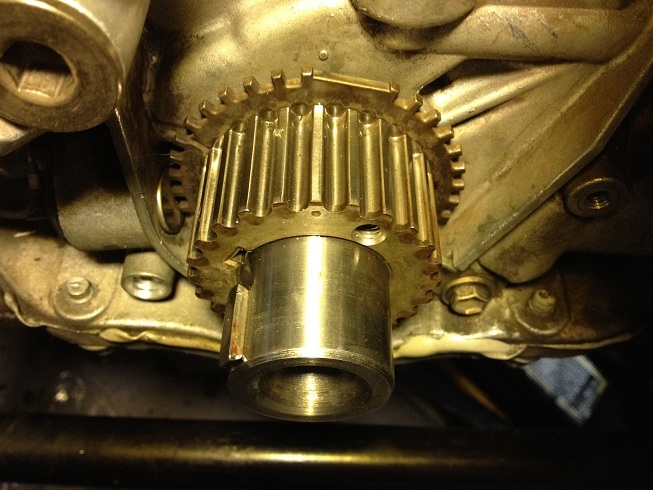 Add some cam advance at idle to prevent the VVTi cam gear from rattling. 2degrees will suffice. I actually use 10degrees because it uses 15% less fuel and I still have a rock solid idle. Ricer mod- you can play with the advance at idle and make it have a big loping dragster idle. I prefer Lexus quiet. More advance is not always better. You will need to dyno tune it. VVTi is not like VTEC. It is dynamic. So even at part throttle you will want some advance. It is NOT on/off. You have 60degrees of advance to play with. Last edited by cwtt; 05-21-2015 at 05:46 PM. In addition to the 97+ blocks having the larger port for VVTi oil feed, I have 2 95 USDM blocks that have the bigger port. One is a GTE and the other is GE, so it's possible to have a VVTi ready block even pre 97. Of course you can also run the feed from a different source if your block has the small port. Hey thanks! I've read your build thread a few times. Can you share how you tune the vvti solenoid with the proefi? I use the AEM infinity but I'd like some examples. The VVTi oil control valve operates on an H-bridge circuit like the IAC motor. I'm no tuner but what exactly are you looking for advise with? Very informative post man. I read the whole thing and I already have a gte. 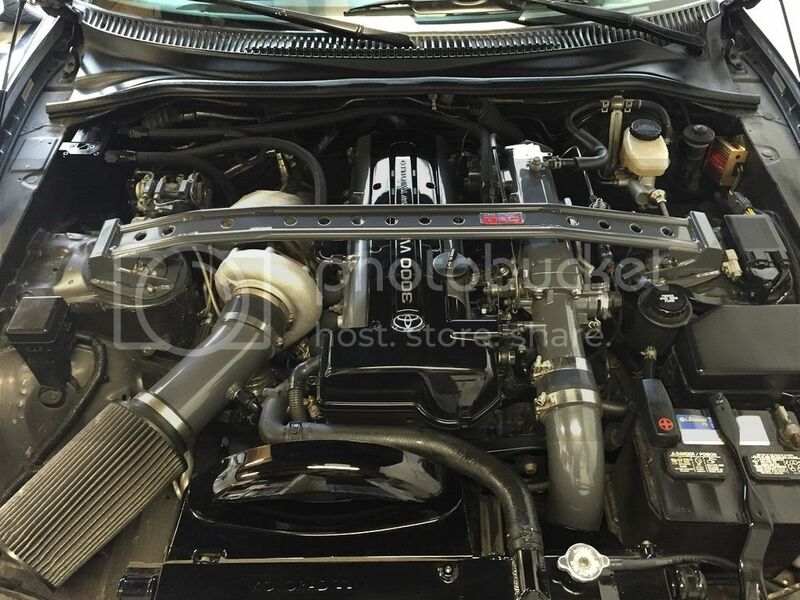 The tomei poncams link you posted was for a 1jz. They still drop in to the 2jz vvti without any problems? It works on any regular low side driver, same as injectors or other actuators controlled by the EMS. Factory rate on the OCV is 3ms, but it'll work fine between that and 6ms. A flyback diode should be added if there isn't one already on the output being used. 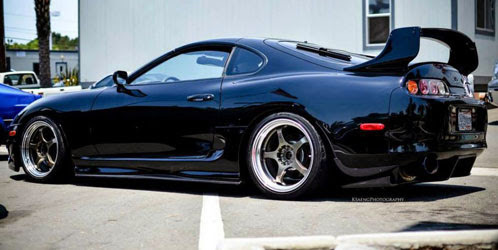 Thank you for this thread this should quiet some of these so called supra gurus on the vvti gte. I guess there's more then one way to run the oil control valve. nice thread and info: subbed. Would like to see some dynos with your VVT-i 6766 setup - How many RPM sooner are you spooling over a regular head?